Nose: Riesling grapes, honey, floral lilac and clover blossom. Palate: Body like liquid gold. Attack is heavy with clover honey, in both flavor and firmness of texture. It tastes like a glass of dessert wine on fire. When developing, some spiciness, cinnamon or nutmeg and vanilla. Surprisingly one-dimensional on first taste, with the Sauternes flavor overwhelming the cereal sweetness. However, for shear desserty pleasure, this one is hard to beat. Subsequent tastes reveal more complexity – surely there is a lot left to discover. Finish is medium long with more cereal notes, but little else. A lingering ghost of spice – vanilla chai. Also some toffee? Addition of a few drops of water did not, to my mind, improve this dram. I prefer it in its pure, sugary glory. Hi Kevin, I was interested in which are the other two desert island scotches. I would be surprised to find two others as good as the Nectar. 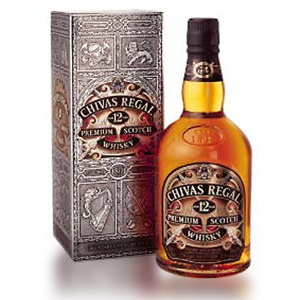 I have collected Whisky for years but never bought the nectar d’or. Found a closeout on it for $29 and amazed at the quality I have been missing. Superior to most all of Glenmorangies offerings. @David, That’s an *incredible* price. I see it frequently for $65 here, where prices are generally low, for the U.S.! If they have any more of those, stock up! That’s a great deal! I hope you stocked up. Absolute heaven! My husband was going to replace our bottle of Glenmorangie Lasanta and they were out but had this. He spent the extra $20 and brought home something that is soooo much better. The review is spot on. I think we’re converts… this could be an expensive hobby. 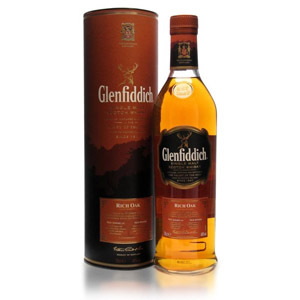 I love this Scotch, I live in Germany now and usually get it for about 39 Euros verus the $75 I was paying in the states. just went on sale in Peoria il for $39.99! I got case. No more Glenlivet 12 to save money between bottles of lagvulin! Hi, quick question. You haven’t happened to have the Glenmorangie 10 have you? when I tried that dram I was completely underwhelmed and found the drink very one dimensional. If you’ve had the 10, how does the Nectar D’Or compare? Thanks so much! Thomas, I think of Glenmorangie single malt as a blank slate upon which cask finishes can work to create masterpieces. By itself, with nothing but ex-bourbon aging, Glenmorangie 10 can be subtle and one-dimensional. Perhaps that’s why it melds so well with the characteristics of the various barrels it’s often finished in. I heartily recommend the Nectar D’Or – the sauternes casks does wonders with that blank slate. Glenmo 10 is more of a “drink it and forget it” kind of daily dram. The more I attempt to use 50ml miniatures (and maybe this applies to 100ml minis as well) to write tasting notes, the more I run into similar experiences – this is especially true for me with bourbon. I don’t know if it’s the plastic caps, or if these companies intentionally bottle minis out of “bad” batches, or if there’s an increased chance of air leakage… whatever it is, I’ve had multiple bad experiences with 50ml samples. Do you have that problem with the little sample pours that Master of Malt sells? I’ve considered getting those, but if this is a persistent issue with miniatures, I might avoid that route. You’re not the only person I’ve seen express problems with small bottles. It’s a shame if that is the case – I love it as a concept for test-driving a whisky. I have not had this problem with MoM samples (yet) – I’ve had maybe 8 or 9 of them. Since they are poured from full 700ml bottles into glass 30ml bottles and sealed with wax, I have a lot of faith in them. Too bad the shipping (time and cost) is atrocious. I only order a batch when there’s something I MUST have from the UK – like Green Spot. The miniatures got much better, I must report, after having been opened for a couple weeks. They tasted just as good as the stuff in the bottle. My full-size bottles don’t run into this issue, which makes me wonder whether it’s something to do with the cap or the different bottling process. By the way, try Lasanta with spicy food like Thai or Mexican. I haven’t found a lot of whiskies that pair well with food, and Lasanta is a glaring exception. It can stand up to a bold spicy dish without overwhelming it. As awesome as Nectar d’Or is, a robust, spicy dish would overwhelm it. This may be a dumb question, but I noticed further down you said the minis got better after a few weeks. I just (a few hours ago) ordered a bunch of minis of different types scotch for Valentine’s Day for my husband. I should have them early next week. Do you think maybe I should open and reseal them right away or would letting them breath a while before serving maybe help with the matchstick flavor? Any suggestions, even guesses, would be appreciated! Thanks! Eric, I’ll have to try that. I’ve found it very difficult to pair food with whisky – It always seems to make the whisky taste overly alcoholic and to lose all of its nuance. This happens even if I’ve eaten *recently* (within 5 minutes or so). I started tasting as many different scotches as I could even though I rarely drink hard liquor. I decided to start with the single malts and my 3rd 50 ml miniature was glenmo Nectar’d. It cost $4 locally. The 750 ml bottle was $91. Doing the math, I’ll probably continue with the 50 ml purchases since 750 ml equals 15 50 ml nips so $60 per 750 ml is much more affordable :-). I’d love to find a sale someplace because now my nightcap is this wonderful scotch. I bought a bottle based on this review. I agree in full about it being decidedly one-dimensional upon first taste. Ive had the bottle for a while now and still no extra complexity detected by me. Well certainly i am no whisky aficianado so there you go. Would be interested on a re-review though. Glad i bought it to try but will not replace bottle when i am done and will not go for the sauternes finish elsewhere. Nice review though anyway. Keep up the good work Nathan. Picked this up last week for about $70. Very delicious. Was a bit reticent after trying the standard Glenmorangie 10 which I find to be a bit on the bland side. Nectar D’Or is delightful. Makes for a terrific nightcap. 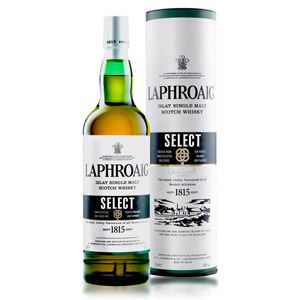 Noob, since this review was posted nearly four and half years ago, do you happen to remember whether the sample you tasted was from one of the earlier NAS bottlings of Nectar, or from a newer one with the 12-year age statement? I ask because I quite like this stuff, but have only ever tasted the 12-year age stated version. There’s a local shop near my house that has a couple of dusty bottles of the old NAS version at a decent price and I’m wondering if I should pick them up or leave them be. Any thoughts at all on how the original NAS stuff compares to the newer 12-year? Thanks! Good point. I may pick one up and give it a go. Thanks. I usually drink laphroge 10 year old as my standard go to scotch. Picked up two bottles of this Necter d’or on recommendation of the liquor store owner ($39 a bottle on sale) and first taste was amazing! wow! Every little sip after was something new to discover. 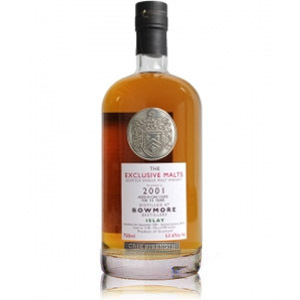 Nice smooth sweetness and warmth to it….light hints of cinnamon and caramel. Wonderful aroma to it….floral like. Nice contrast to some of the smokey single malts I usually go for. That’s a great price! Here it usually runs closer to $60. Glad you enjoyed it, it’s still one of my favorites. I believe there’s also a 15 year-old version, but I haven’t tried it yet. Cheers! Nice review. I too agree at the subtle flavor notes that you experience. 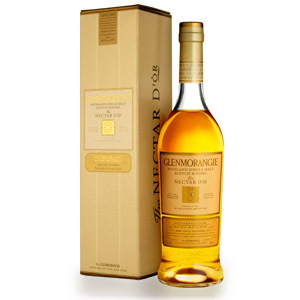 I feel like nectar d’or is a noticeably lighter scotch that doesn’t leave you full but still provides deep flavor. The only other one that compares to me is Lark rum cask . It has a similar vanilla and honey note.